Last week I mentioned this paper that was recently published by Linda T. Elkins-Tanton, Benjamin P. Weiss and Maria T. Zuber of MIT. In it, Elkins-Tanton et al., discuss the possibility that carbonaceous chondrites could have originated from differentiated bodies. For those unfamiliar with this term, it basically refers to any asteroid or planetesimal that grew large enough to develop a distinct core/mantle boundary and a cold crust. 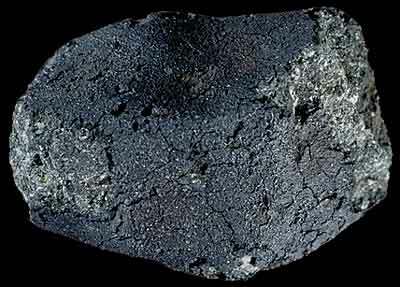 If you recall, I wrote a few posts about iron meteorites that originated from such bodies. The researchers based their hypothesis on the “metamorphic, magnetic, and exposure age data” for the Vigarano type chondrites, with most of the data being taken from the most famous of this type, Allende. To support this hypothesis they created a computer model of a differentiated body with a cold crust. They then used equations that would allow them to model thermal behavior on such a body and also modeled in a core dynamo as a way to explain the magnetic orientation of Allende’s mineral grains. The model was constrained to bodies 500 km in radius with a crust “no thicker than 2% of the bodies radius”. This crust basically sits on top of a magma ocean. They further speculate that the planetesimal accretes material as it collides with other pieces of rock in the solar system. This process allows for the crust to thicken and undergo varying levels of metamorphism based on it’s proximity to the heat from the magma. What the researchers have suggested is a significant departure from that of the current thinking behind planetary formation. As I had mentioned last week, it is commonly thought that carbonaceous chondrites originated from undifferentiated bodies. This paper is suggesting that some of these chondrites originated from bodies experienced at least partial differentiation. It’s a pretty neat concept that I hope will see a lot of debate within the meteoritics community. I plan on keeping my eyes open for any responses or research that builds off this work. I have only one critique for the paper. It’s pedantic really, but I think it makes all the difference in clarifying the purpose of the research. 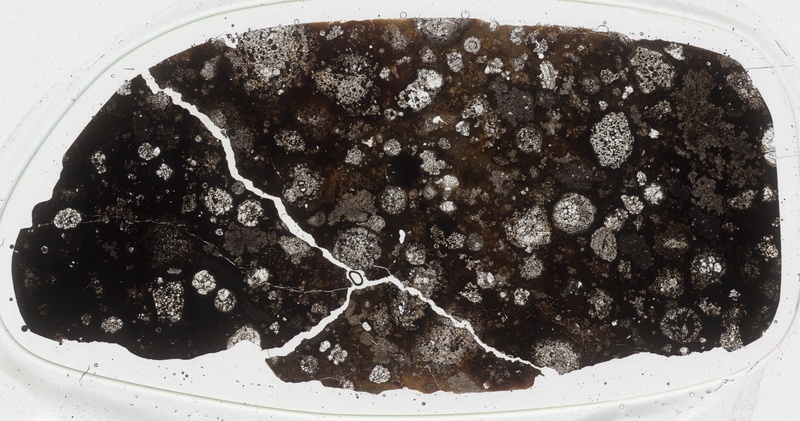 The title of the paper “Chondrites as samples of differentiated planetismals” makes one believe that the research will apply to more than just two or three classes of meteorite. Throughout most of the paper, the researchers rely primarily on Allende, which is part of one class of carbonaceous chondrite. There’s mention of Orgueil, but beyond that one doesn’t see much in regards to Ivuna or any other species of carbonaceous chondrite. What I would like to see is how this model applies to the other chondrites. Can it be adapted in such a way as to explain the origins of other carbonaceous chondrites? If not, should there be a new classification for those which come from partially differentiated bodies? Those are a couple of questions I’d like to see answered in any follow up papers. I’ll admit, I kinda let the ball drop on this week’s Meteorite Monday. Normally, I try to get this post done a few days ahead of time, but this weekend has been filled with work, chemistry, petrology readings and completing scholarship essays so I can get some research money. However, I do have a neat post planned that talks about a recent paper that was published by some researchers at MIT. In the paper, “Chondrites as samples of differentiated planetesimals”, Elkins-Tanton et al., postulate that carbonaceous chondrites could have originated from asteroids that experienced differentiation. This challenges the current paradigm that such chondrites actually come from bodies that didn’t grow large enough to develop a core and mantle. Some have speculated that if true, this could change the way we view the formation of the planets. It’s a good read and if you have time, I’d recommend giving it a look over. 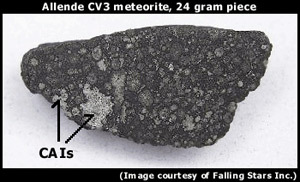 The Allende Meteorite- One of the meteorites used in the Elkins-Tanton et al., study.